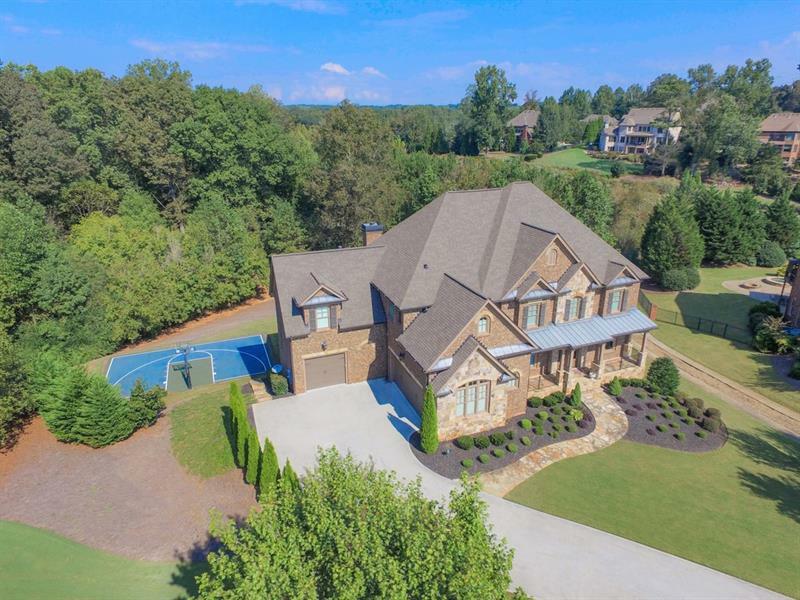 Custom built Tony Brown brick & stone 6BR/6.5BA home w/finished terrace level on large 2.25 acre cul-de-sac lot w/backyard basketball court in the prestigious gated Manor Golf & Country Club. Formal dining & living rooms + "executive home office", chef's kitchen w/view to vaulted family/keeping room & informal dining room. BR & BA on main floor & terrace level in addition to 4 upstairs BRs & BAs. 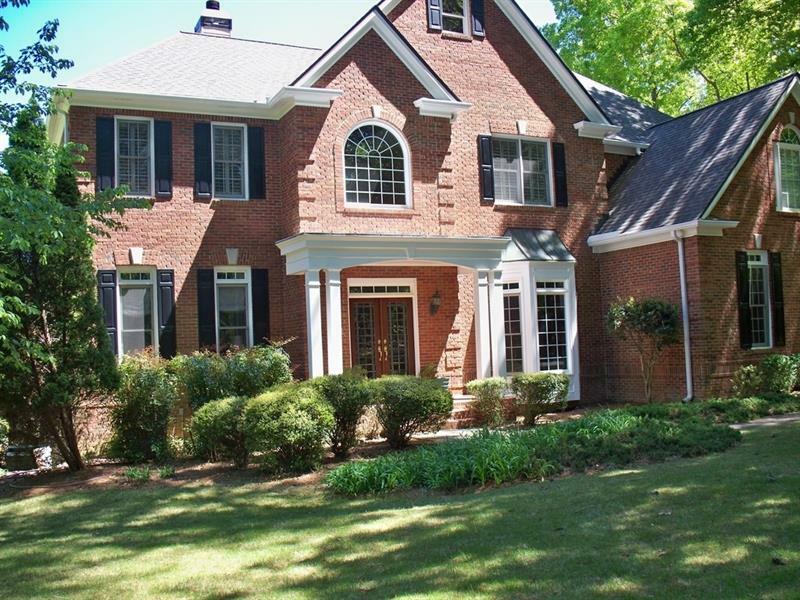 Master w/sitting room has fireplace & 3 walk-in closets + spa bath. Terrace level has bar, family room, home theater & flex room/home gym. Price reduced below 10/18 appraisal. Spring into summer fun! 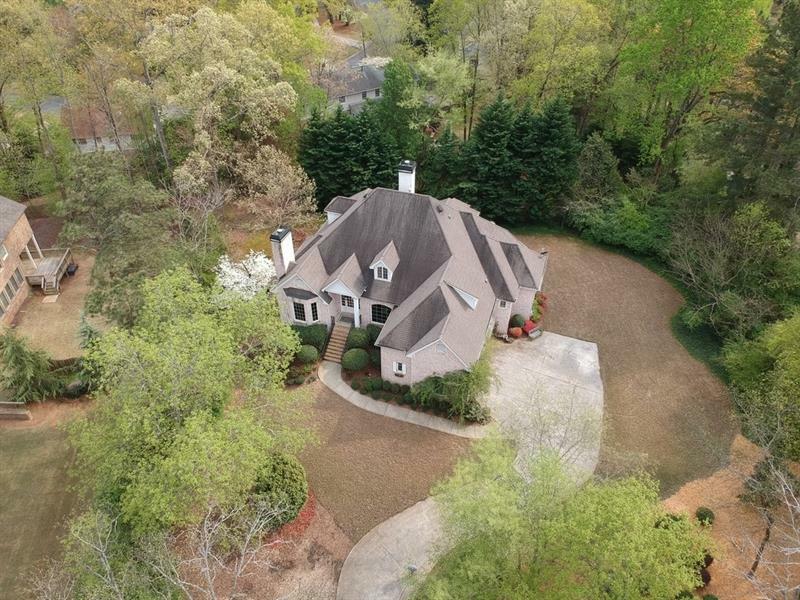 Outdoor paradise--huge, level yard+woods w/creek, 1.5 ac walking dist to award winning Roswell High. Fireside keeping room w/vaulted beamed ceiling, renovated kitchen open to cheery breakfast rm & covered porch overlooks gorgeous pool & lovely landscape. Romantic mstr ste features closet-envy inducing closet; 3 lg BR up w/en suite baths; loads of storage, built-ins. Fin terr lvl w/kitchenette, BR. full BA, office, storage/work space for hobbies. Top schools, mins to Canton Street, award winning parks, best shopping, dining & private schools. 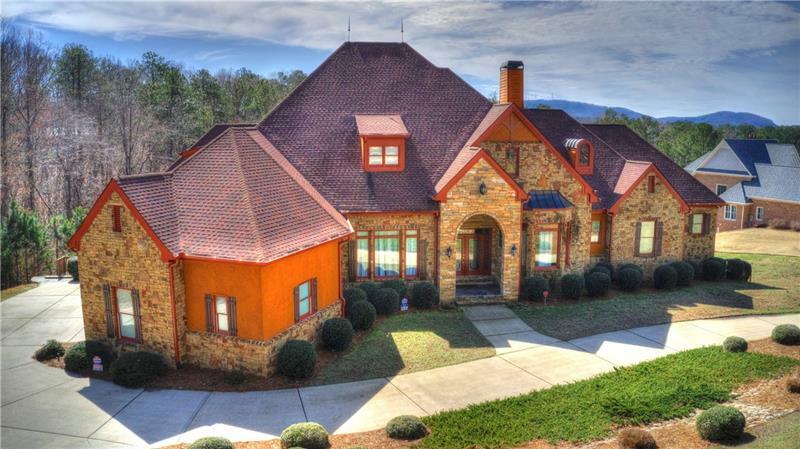 Live the Johns Creek Lifestyle! 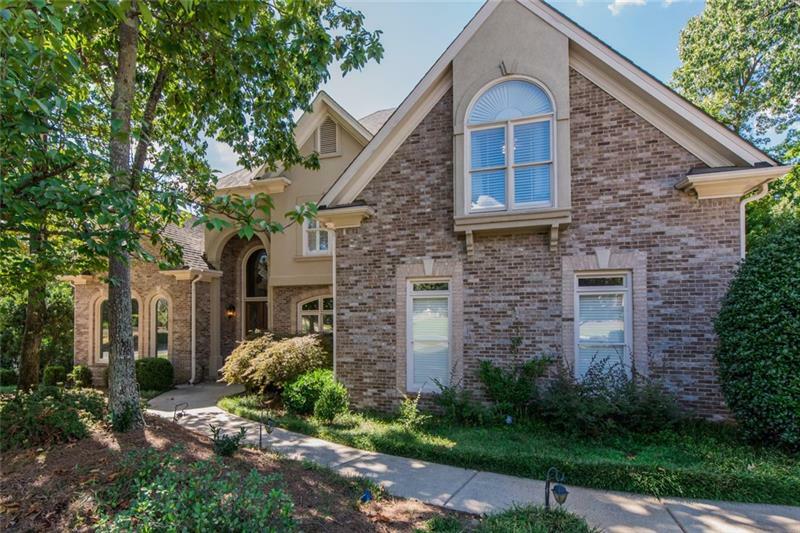 Gorgeous 4-sides brick home in prestigious Falls of Autry Mill. Superior attention to detail w/exquisite millwork, coffered/treyed ceilings, gleaming hdwds. Main level w/LR, DR, 2-Sty Fam Rm, chef's kit w/vltd fireside KR, octagon brkfst rm, perfect mstr ste w/fplc & spa bath, 1/2 BA & laun rm. Upper lvl boasts 4 spacious BR's/3BA's. Finished terr lvl w/2BR's/1BA, media rm w/full bar/kitchenette/in-law suite. Large fenced back yrd w/wading pool/spa w/waterfall, play area & fire pit. 3-car garage. Excellent Johns Creek Schools! Beautiful and Serene gated estate sale located on Milton's new green-space with million dollar views. Country in the city down one of Milton's famed dirt roads. All new exterior paint, new roof, new hot-water heaters. Gorgeous landscaped lot complete with pool and palm trees. Don't miss this unique property. Brick 6BR/4.5BA, Master On Main. NEW roof & appliances & carpet & hardwoods & paint on a private lot with a creek in the backyard. 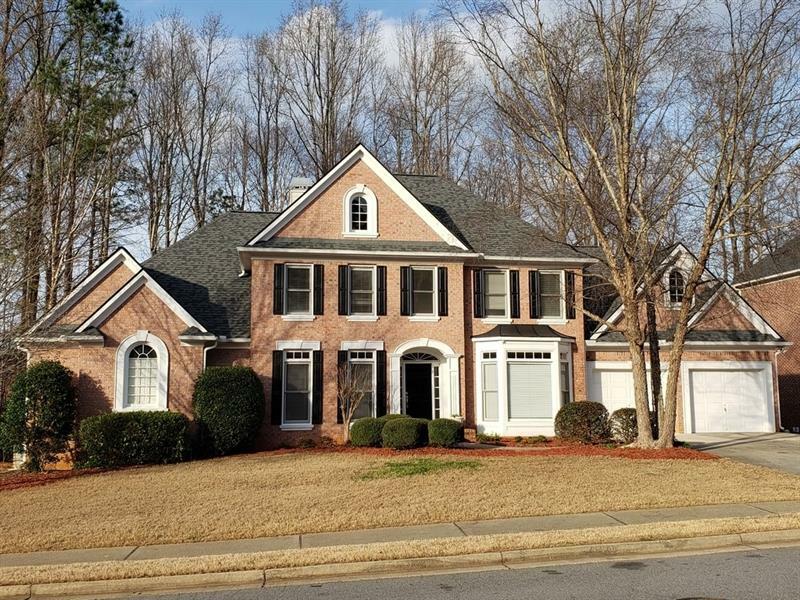 2 Story Entry Foyer & Great Room, Formal Living & Dining Rooms, Office/Sitting Room next to Master + Sunroom on Main. 4 additional bedrooms up with direct access to 2 full bathrooms. Another bedroom & full BA on Terrace Level along with a workshop, Fam Rm, wet bar & additional space you can custom design to suit your needs. Great neighborhood amenities & top schools. Walk to entertainment, parks, restaurants & shopping. Move in ready. Immaculate cul-de-sac home. Tucked away at the end of a side street, this home has privacy while giving you the benefits of living in an active, family friendly swim/tennis community. Wide open floorpan! Office plus bedroom on main level. Master up w 3 addtnl bedrooms & 3 full baths. Laundry up too! No going up & down stairs carrying a basket. Flat, fenced backyard just had trees cut. Plenty of room for ballgame, playset & trampoline. To-Die-For basement w kitchen & 2 more bdrms great for playroom/gym/guests/office. Walk to dining, school & park. Top Schools! 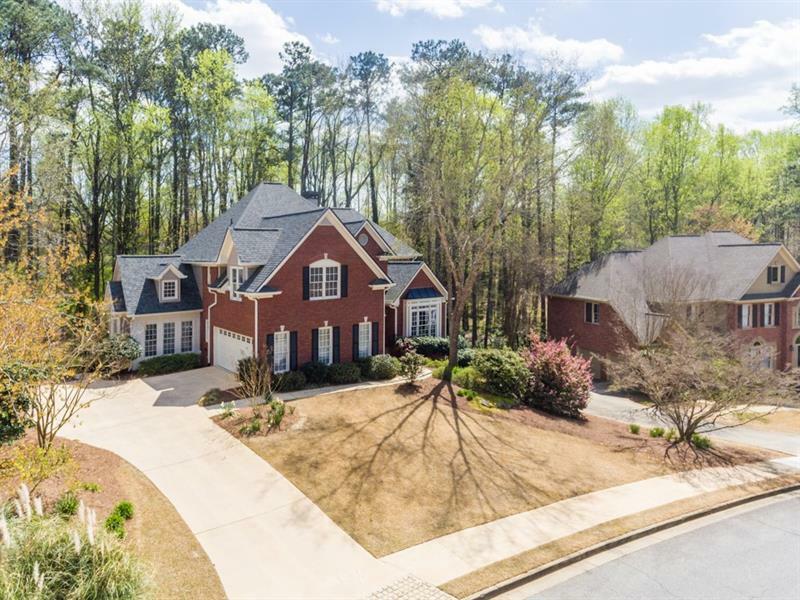 Amazing updated home in Roswell's #1 S/T community-Edenwilde! Renovated kitchen with custom cabinetry, granite and stainless appliances. Spa like master bath! Six large bedrooms including guest suite on main. Professionally finished basement is great for entertaining. Quiet cul de sac street. Fenced level backyard. Easy walks to Sweet Apple Elem, shops, restaraunts, Starbucks and more. Milton High School. Very active community with swim team, ALTA tennis, clubhouse, basketball and several social functions.